1. Wash the dried prawns and soak in warm water for 30 minutes. 2. Wash the spinach well. 4. Fry the mustard seeds, onion, ginger, garlic, turmeric powder and green chillies. 5. Add the prawns and fry well. 6. Drain the water from the spinach and add it to the pan. 8. Add salt, red chilli powder and 1 to 2 cups of water. 9. Mix well and cook on low heat till the water is absorbed. 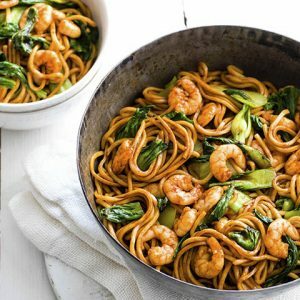 Feel free to comment or share your thoughts on this Prawns with Spinach Recipe from Awesome Cuisine.